How are lockdown drills implemented? What plans are in place to help kids stay safe? How can I talk to my child or respond to their questions or anxiety about school safety? While "school safety" is a broad term with various applications within every school, the information in this article can help parents learn about actions schools across the country are taking to make themselves safer and better prepared for an emergency. All schools should have an organized, systematic emergency operations plan in place to reduce risks or prevent, prepare for, respond to, and recover from a crisis situation. The types of crises can vary from a death or accident affecting some members of the school community to a natural disaster or community crisis affecting a lot of individuals in the school. Many school districts have a safety coordinator or director, or have assigned this role to one of the district administrators. School faculty and staff are trained to assess the seriousness of incidents and respond according to the plan's established procedures and guidelines. While the school staff has been trained and continue to receive guidance on how best to help students, the best advocate for your child is YOU! Ask your child's teacher about the plans the school has in place for emergencies such as fires, blizzards, bomb threats, and armed intruders. You can also ask how often school officials and safety experts meet to discuss safety procedures. While some schools may hesitate to share all components of their plans and strategies, make yourself aware of the information available to you. In 2013, the White House released a Guide for Developing High-Quality School Emergency Operation Plans. The guide is customized for each type of community, incorporates lessons learned from recent incidents, and responds to the needs and concerns voiced following the recent shootings in Newtown and Oak Creek and the recent tornadoes in Oklahoma. Evacuation:Used to move students and staff out of the building. With a simple evacuation, students and staff leave and move to a nearby pre-designated safe location and return to the school building right after the cause of evacuation is resolved. Schools practice evacuations regularly (often monthly) during fire drills. Relocation:Used to move students and staff to a pre-designated alternate site following evacuation when it is determined that returning to the school building will not take place within a reasonable period of time. Depending on the time of day and the circumstances, students may be released early or school activities may be changed or put on hold until they are able to return to the school building. Plans should also be in place for students and staff with limited mobility who may need assistance moving to the relocation site. Shelter-in-place:Used during severe weather or other environmental threats (e.g., air contamination due to a local fire). This is a precaution aimed to keep people safe while remaining indoors. (This is not the same thing as going to a shelter in case of a storm.) In schools, shelter-in-place involves having all students, staff, and visitors take shelter in pre-selected rooms that have phone access and stored disaster supplies kits and, preferably, access to a bathroom. The room doors are then shut. Lockdown:Used when there is a perceived danger inside the building. A lockdown includes securing each occupied room by locking the door(s) and directing people to move away from windows and doors. Hallways are cleared of students and school staff. Typically, local law enforcement arrives to secure the site and arrange for evacuation or return to usual building activities. Students are kept in their classrooms or other secured areas in the school until the lockdown has ended. Lockout:Used to secure the building from a potential threat outside the building, such as when an unauthorized person is loitering on school grounds or when there is criminal activity in the neighborhood. During a lockout, access to the building is restricted, but there may be some limited movement within the building. How Emergencies at Schools are Communicated to Parents? Every school has its own standards for parental involvement in school safety threats. To prevent possibly risking the safety of your child and their classmates, it is important for parents to understand what the school and local law enforcement require of them during these emergency situations. Misinformation can easily spread if a crisis situation occurs at your child's school. Because of this, it is the responsibility of the school staff to provide parents with timely information on the status of their child's safety. For example, some schools have an emergency communication system in place that notify parents via email, voice, and text messages. Schools typically inform parents of any unusual situation that demands one of the protocols listed above, however, they may not provide prior notice of drills. Review with their child the family emergency plan, including reunification and communication options. Provide the school with information about any unique needs their children may have. This can be accomplished by filling out an emergency information form and working with school health staff to be sure there is an emergency plan on file for your child that includes information on health issues and what is needed during other school emergencies. Arrange for the school to have on hand back up/extra medication or other items to address the unique needs of your child so they have what they need if there is an emergency where they need to remain in the school building for a longer period of time. Provide the school and your child's teacher with up-to-date contact information for family or friends who can help out if you are unavailable. Be sure to update this information as needed throughout the school year. Learn about the school's plan for emergency response, including parental access during emergencies, school emergency contact information, meet-up locations, and other reunification plans. For some children, even participation in a drill may cause some emotional distress, especially if it reminds them of a prior crisis event or if they otherwise are feeling vulnerable or anxious. As a parent, you are in the best position to help your child cope. Any conversation with a child must be developmentally appropriate. Young children need brief simple information that should be balanced with reassurance. This includes informing children that their school and home are safe (once these are secure) and that adults are available to protect them. Young children often gauge how threatening or serious an event is by adult reactions. This is why, for example, parents are encouraged not to get overly emotional when saying goodbye on the first day of school. Young children respond well to basic assurance by adults and simple examples of school safety, like reminding them the exterior doors are locked. Upper elementary and early middle school children may​ be more vocal in asking questions about whether they are truly safe and what is being done at their school. They may need assistance separating reality from fantasy. Parents can share the information they have about the school's safety plan and any other relevant communication to ease their child's mind. Upper middle school and high school students may have strong and varying opinions about causes of violence in school and society. Parents should stress the role that students have in maintaining safe schools by following the school's safety guidelines (e.g., not providing building access to strangers, reporting strangers on campus, reporting threats to school safety made by students or community members, etc.). It is important to provide emotional support to a child in the aftermath of a crisis situation. Watch for clues that your child might want to talk, but understand that not all children will want or need to talk about these events. Some children may not express their concerns verbally. Be aware of signs that children might be in distress, e.g., changes in behavior, anxiety, sleep problems, acting out, problems at school or with academic work. If you need assistance, consider talking with your child's doctor, a mental health professional, or the school nurse, counselor, or social worker at your child's school. 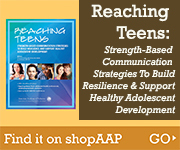 See Helping Your Child Cope for strategies to ensure children's needs are met in emergency situations.